We carry a wide variety of thin, lightweight high-index eyeglass lenses. 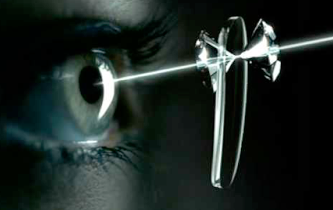 Our specialty is the custom manufacturing of the thinnest and lightest lenses available anywhere. Using computer aided grinding and polishing techniques enables us to work on high index plastics to 1.74. Conventional plastic lenses have a refractive index of approximately 1.50 and for glass it’ s 1.52. Our light weight lenses marry well with our “Lite Metal” frames. We also have “Hypo Allergenic” to Titaniums and everything in between. We also carry a wide selection of kids frames; both regular and sport glasses We make glasses that not only look good, but are good for your eyes as well. Come in and see for yourself. We’re not a giant chain with hundreds of stores but our clients wouldn’t know that. Our inventory of over 1,000 quality designer and boutique frames is one of the largest in NJ. We carry almost every brand from Torry Burch, Armani, Polo and Versace to name a few.